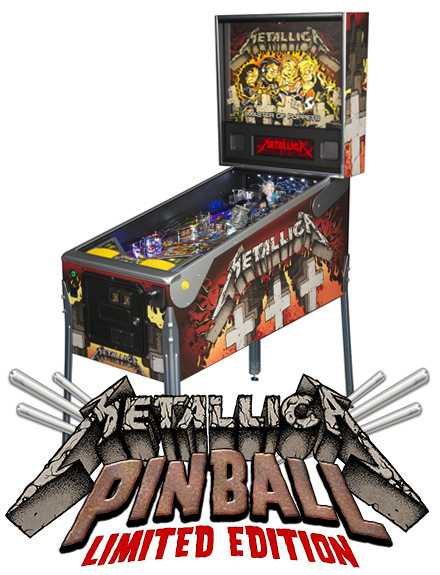 On April 9 2013, Stern Pinball officially announced Metallica as their next new release and released this video below as a sneak peak of the game. Stern also announced that same day that they would release the first real pictures and features of the game in a couple of days on Thursday April 11 when the game officially went on sale to the distributers and retailers. 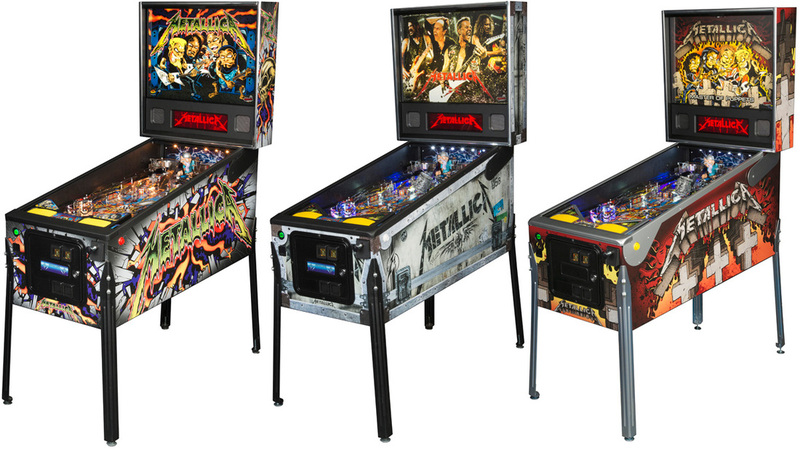 When the game was officially released by Stern that Thursday, they announced that there would be only 250 limited addition games produced for the United States call "Metallica Master of Puppets Limited Addition". 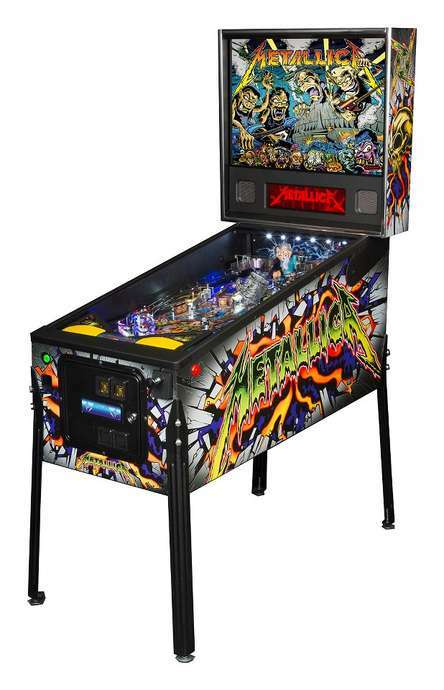 Within forty-five minutes of the news breaking, the Metallica Master of Puppets version sold out, an all-time high for Stern pinball . 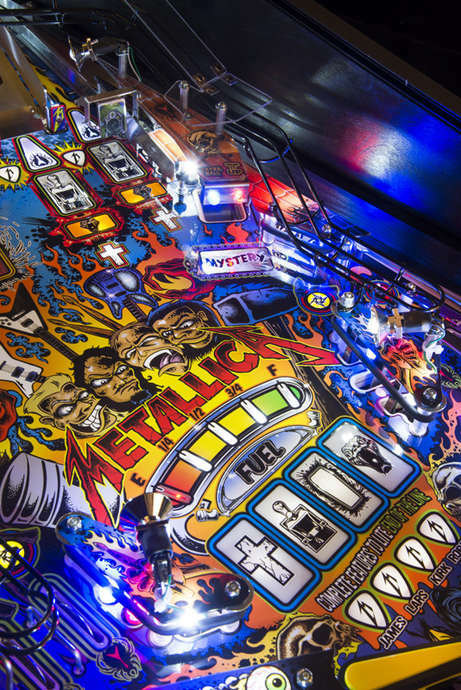 A surge of pin players from Metallica fans to pinball hobbyist swamped the Stern site to get a firsthand look at the new game. 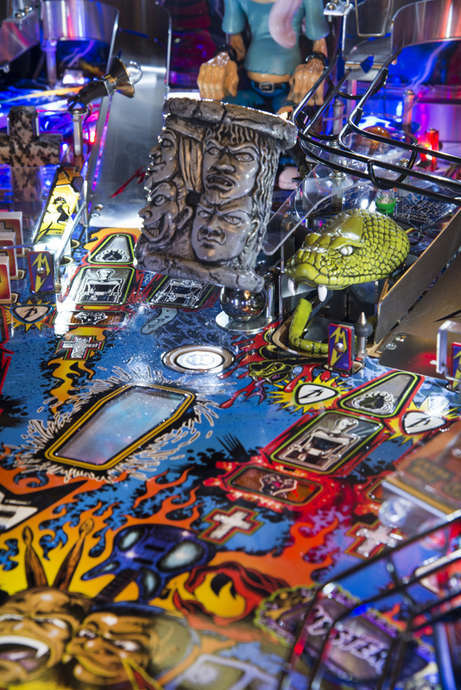 It didn’t take long for the millions of fans and purchasers to knock the server offline, resulting in what Stern Pinball determined to be a very successful launch!! 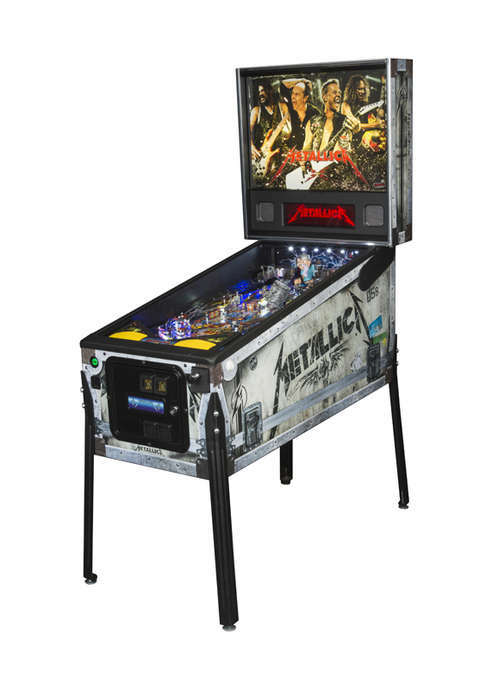 With all that said ,Stern will be producing two other Metallica Models, Metallica Pro which is their base model and Metallica Premium which has all the playfield features that the Limited addition models have , they just don't have the extras cosmetic features and autographs that the limited additions had. 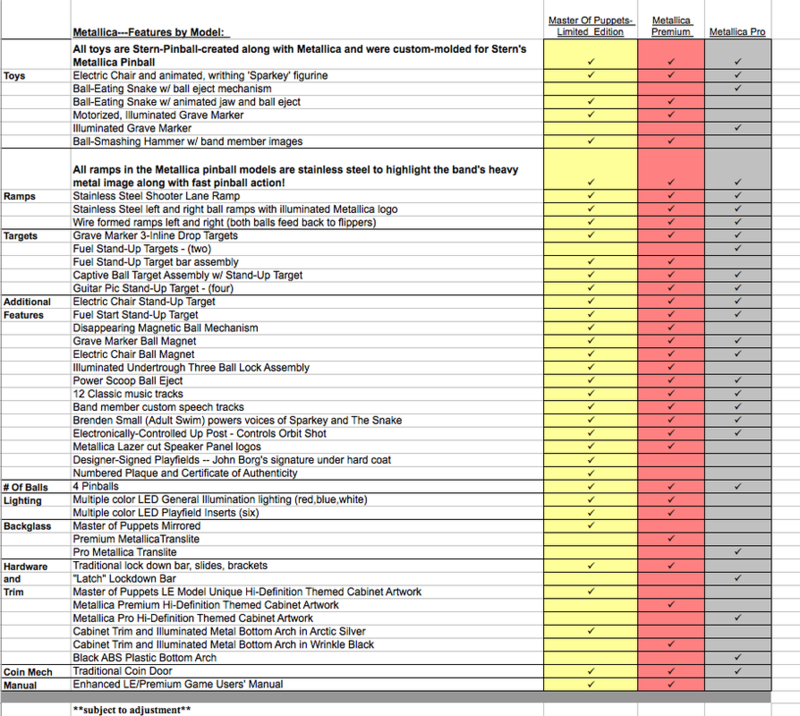 Below are a few pictures of the different models and their features. 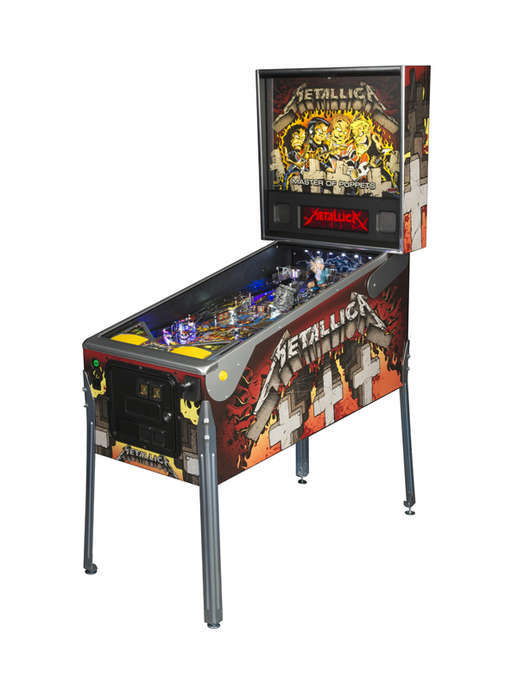 If your ever in my area and would like to see and play the limited addition model, "Metallica Master of Puppets" , stop in. 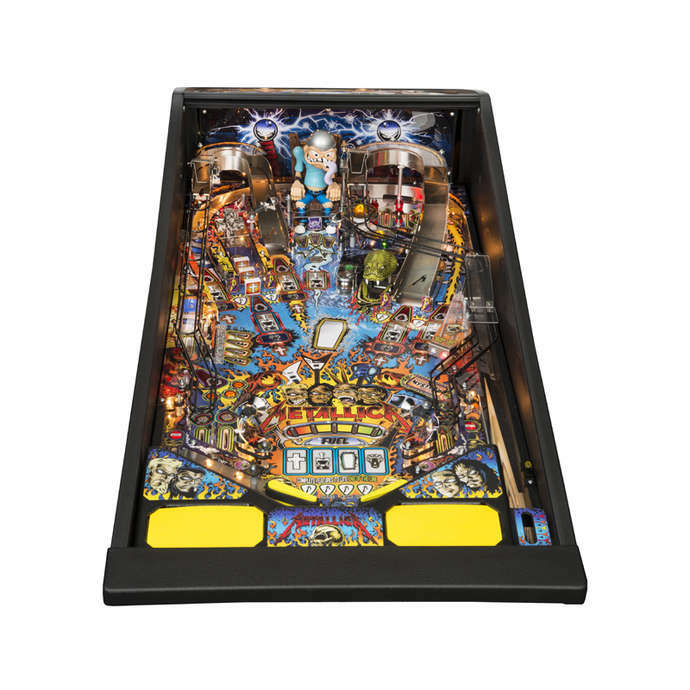 I be glad to meet you and talk about pinball ! 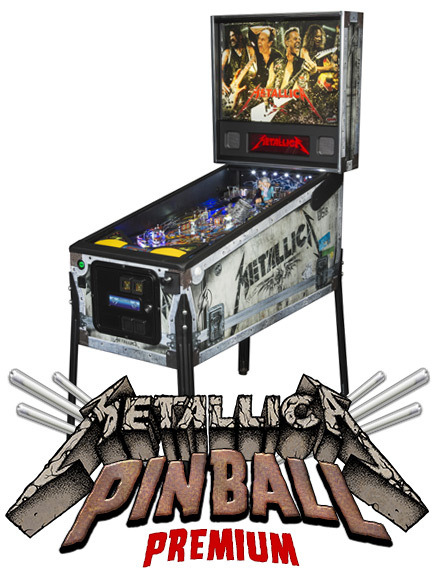 Lets play some pinball ! 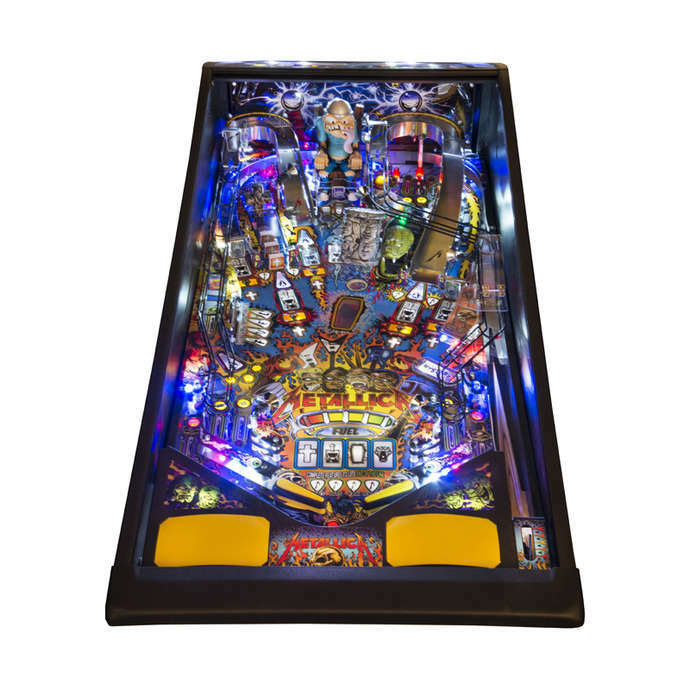 On the Pro , the cabinet and translite artwork is the most colorful of the three. 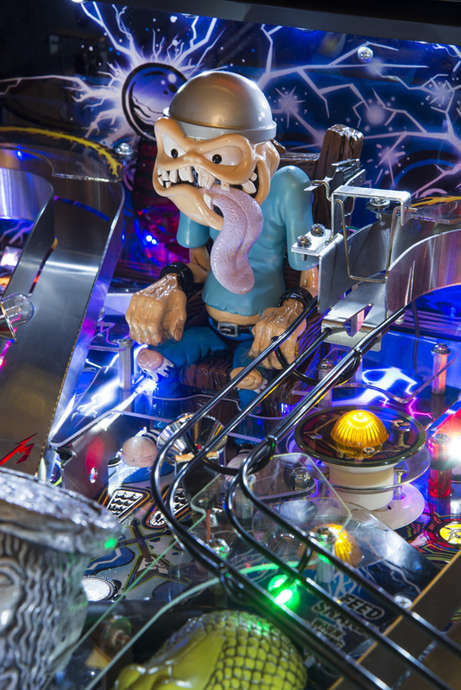 Also the snake mouth on the Pro model is not animated like it is on the higher models, and the hammer with the disappearing ball is also missing. 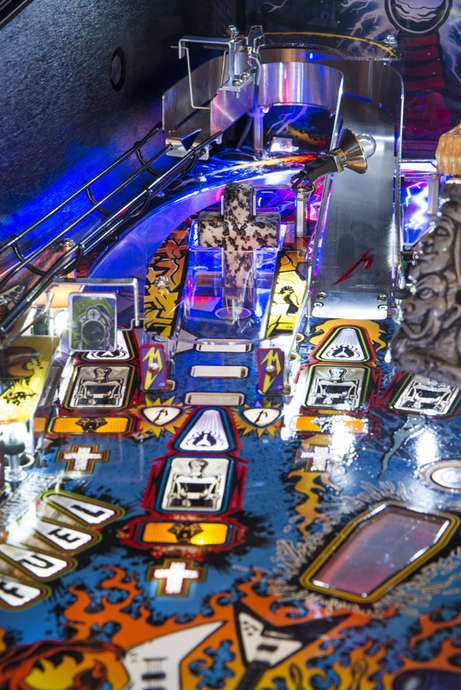 In addition ,the motorised cross grave marker has been removed and the F-U-E-L targets on the left side of the playfield are standups rather than the drop targets in the Premium and LE. 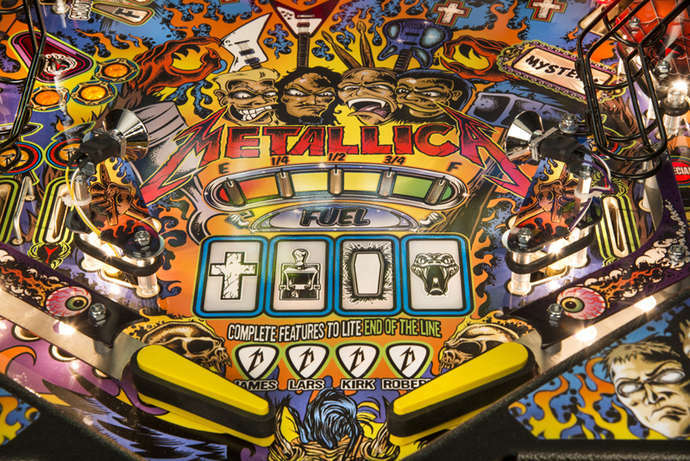 The Premium model features real images of the band in the backbox. 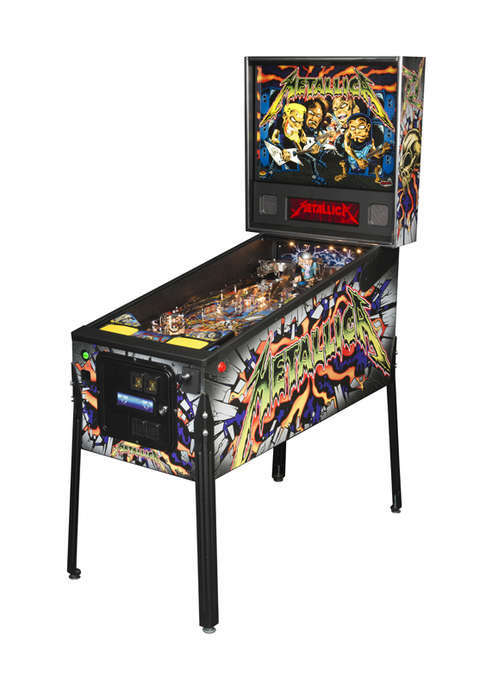 The cabinet and backbox sides go for a flight case style of artwork, while the metal trim is the same as the Pro. 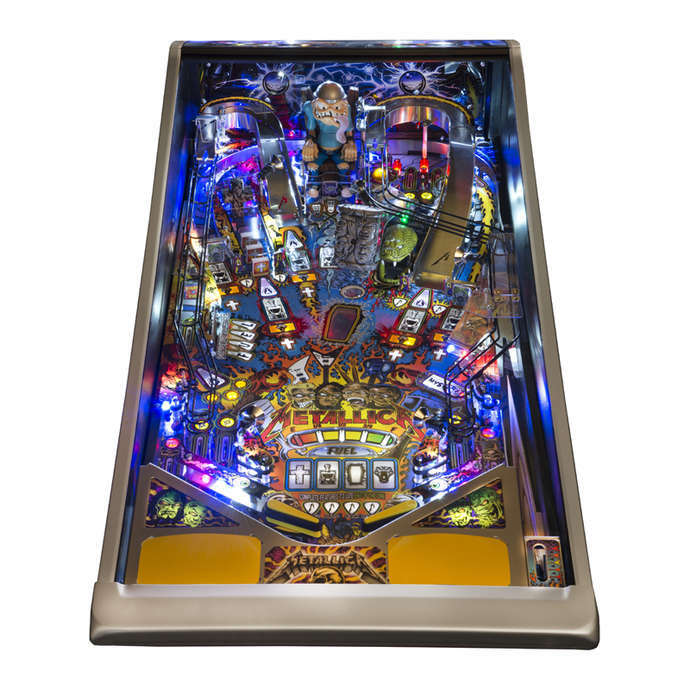 So in other words, you get Pro level trim, Premium artwork and playfield. 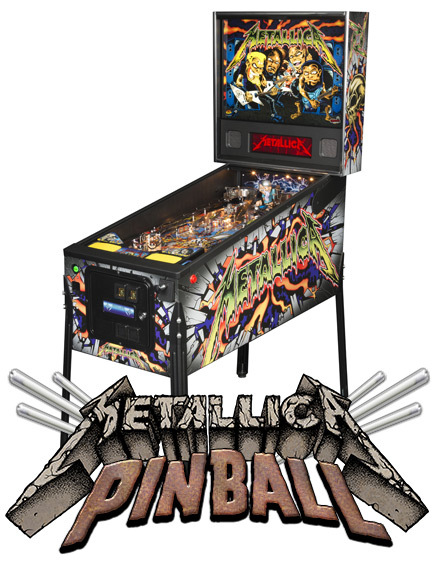 April 18, 2013 - METALLICA "DONNY" PREMIUM VERSION RELEASED!